Geoff Tate is thinking again. 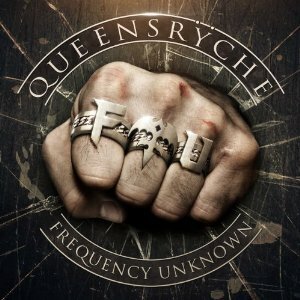 And that is a good thing for Queensryche fans everywhere. Having split into two factions last year, Tate decided to put together his own lineup of talented musicians and the result is Frequency Unknown. With each song featuring a different lineup of players one would think the release is all over the place. Yet despite this Frequency Unknown is a cohesive release that will leave the doubters and naysayers mildly surprised. The album kicks off with the single “Cold”, one of the catchier tunes on the album. Another of the stronger tracks “Life Without You” features a Brad Gillis (Night Ranger) guitar solo. Dave Meniketti (Y&T) chimes in with a solo on “Fallen”, a song that seems like it might have come from Q2K. The gem of this release is “Everything”, a song that deals with a lost love that everyone can relate to. Meanwhile the four songs that were re-recorded leaves one befuddled a bit as they do not shed any new light to the originals. Generally unless you try to recreate the song in a different manner to give it a new perspective there really serves no point in a remake. One interesting aspect on “Silent Lucidity” is Tate’s Daughters Miranda and Emily sing background vocals making it more of a family affair. With the talent Tate has gathered you knew the release would be respectable. With the likes of bassist Rudy Sarzo (Whitesnake, Quiet Riot), guitarist Craig Locicero (Forbidden) and drummer Simon Wright (AC/DC, Dio) the band has instant credibility. Add in KK Downing, Brad Gillis, Dave Meniketti and Ty Tabor (King’s X) and that makes it a can’t miss. With this more or less being a Geoff Tate and friends release, you really can’t compare it to the rest of the catalog as it is an entirely different entity. Give this release a listen and you will not be disappointed if you take our advice.